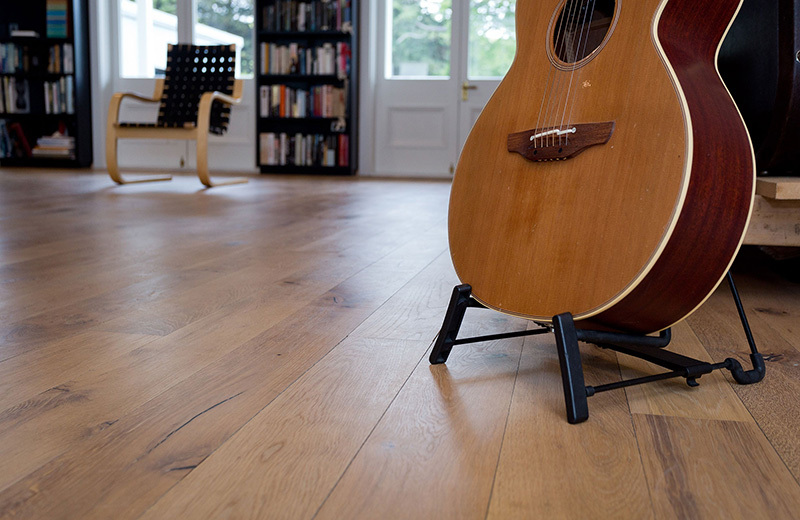 Swinard Wooden Floors offer a full range of floor sanding, coating and finishing services. Whether you wish to sand an existing floor or one which has been recently installed, we can help you choose the right coating for the look you want. We undertake all domestic and commercial work, from pre-sanding through to the fully finished floor and we work in large sports halls (including painting court markings), shopping centres, new or existing homes, offices, restaurants, etc. We can also undertake minor or major repairs and renovate old floors – see Recoating, Renovations and Repairs. 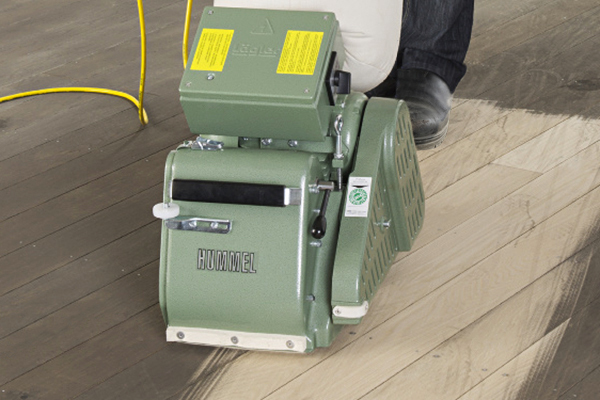 We use specially designed German commercial floor sanding machines and only the very best products available, to ensure a top quality result. Should your floor require repairs, these will be done first. Any nails will be punched in and gaps filled. Solid timber floors can be fully sanded and recoated four to five times and engineered floors, three to four times. The floor will be sanded, using a number of different grades of sandpaper. There will be considerable dust during this process and while our sanding machines have bags to collect the majority of the dust (and these are used in conjunction with industrial vacuum cleaners), please expect some dust to escape into your home. Obviously, we will try to keep this to a minimum. 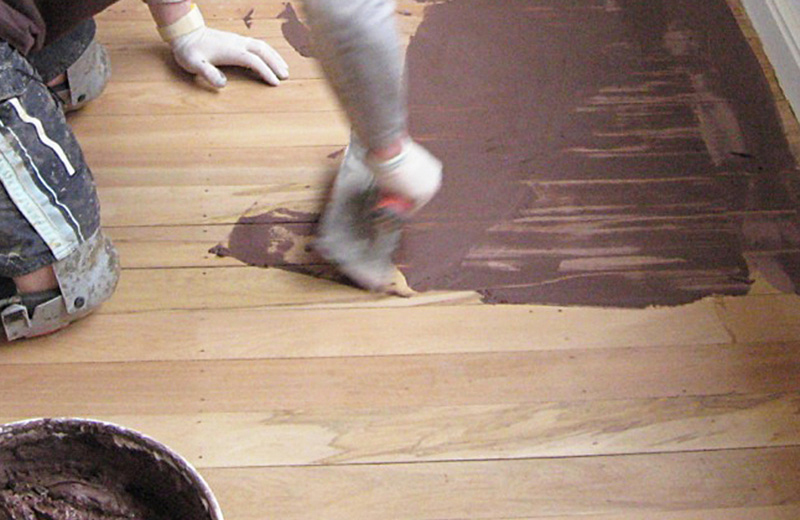 Should you wish to alter the colour of your timber, we can darken or lighten your floor through stains. These would be applied at this stage – the selection of stains is best viewed at our showroom. Staining is a specialist process; they are thin, highly absorbent liquids that have to be applied at speed in order to create uniformity. We stain the timber, rather than add a tint to the polyurethane. Tinting polyurethane can result in a patchy floor as the polyurethane in high use areas becomes worn over time. It is important to remember that a stained timber becomes richer once the coating is applied and the number of coats applied is determined by the depth of the colour chosen. Staining is a time consuming process and needs to be considered at the time of quoting, rather than a last minute addition. 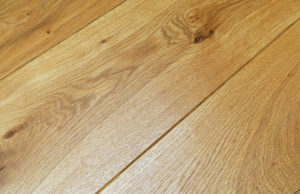 Inconsistencies in existing floors, such as floors made from differing timber species, timbers of different ages or where there are vastly different wear levels, will not be completely masked by staining. Older timbers are more porous and appear darker, however dark stains can hide timber variations to a reasonable degree. This is a process where we trowel fill the entire floor with a filler, in order to fill up any cracks and knots in the wood. We use either a matching filler or some of the fine sanding dust – collected when sanding the floor – mixed with a hardening agent to ensure a close colour match. It is left to dry and then buffed prior to the polyurethane being applied. Flood fill gives the floor a more uniform appearance. However, please be aware that it may crack and work its way out over time, particularly if the floor is installed on joists or battens. You can choose either an oil or polyurethane. We use a German hardwax oil (which comes in either clear or with a lightening base) or a Belgian oil (which comes in clear and a wide range of colours). We use either a German or Swedish waterborne polyurethane. 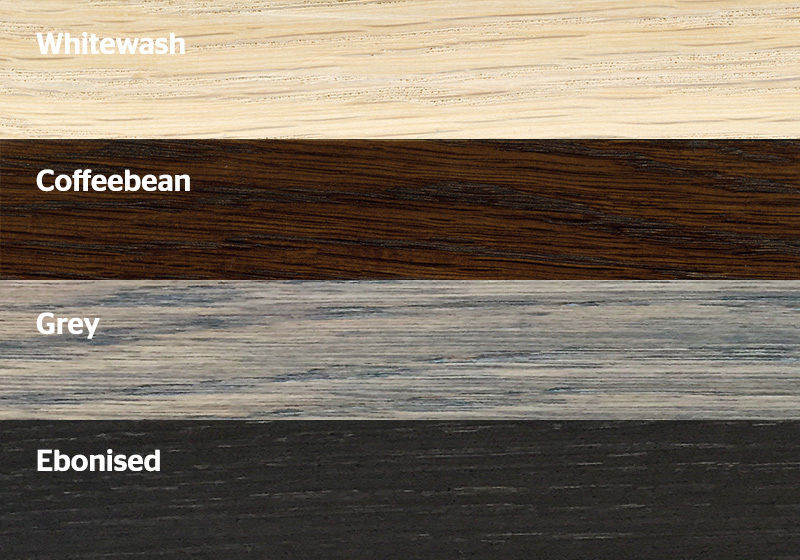 Polyurethane comes in a number of different sheen levels; matt (for a natural timber look), Satin (the one we would recommend and our most popular, possibly because it is the easiest to keep looking good! ), through to Gloss, which can give glare and shows up every spec on your floor. Examples of these and oil can be seen in our showroom. Recoating a polyurethane coated floor is known as a ‘maintenance coat’ and should be applied when your floor begins to look worn or tired. The floor will be lightly sanded and then one or two coats of polyurethane applied. 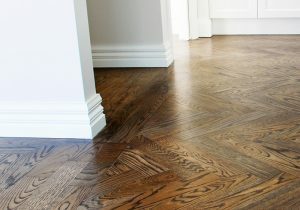 It is cheaper to recoat your floor at an early stage of wear than it is to restore a very worn floor. If the polyurethane has worn through to bare timber, your floor will need to be completely sanded back and have new polyurethane applied. If you are selling your property, polyurethane recoating will give your floor a much needed lift. See Recoating, Renovations and Repairs for further information. Wood is a natural product which expands and contracts in reaction to the amount of moisture in its environment. A certain amount of movement is to be expected. We will leave an expansion gap around the edge of your floor to accommodate this. This gap is covered by skirting boards, toespaces, trims or gap sealant. 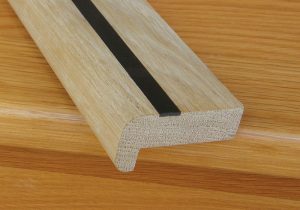 Trim is a finishing bar designed to provide a finished border for timber flooring. Trims are generally used between one flooring type and another, for example between wood and carpet or tiles. Gap sealant can be used where skirting boards are not installed, for example at sliding doors. Trims and gap sealant are generally installed by the builder sometime after we leave. However, we can come back and install these for you, which is why we have listed them separately on your quote. Skirting boards and toespaces are to be supplied and installed by yourself or by your tradespeople. This is used to cover the front edge of the stair step – it makes the lip stronger. We recommend a solid wood, slip-resistant nosing, which can match (or be stained to match) your flooring choice. The insert is generally black but an alternative colour can be chosen. Metal stair nosing can also be used. Slip resistant strips are usually required by the New Zealand Building Code. 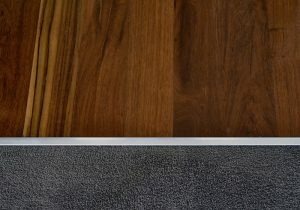 A chamfer – sloping edge – is machined on each board creating a groove between the floorboards. This can be of different depth/widths. V-jointed is deeper than micro-bevelled – for example a 1.5mm chamfer will create a 3mm wide groove. Traditionally these joints were used in oiled floors with the expectation that, with regular topping up of the oil and careful maintenance, it would never need to be re-sanded. Nowadays they are being manufactured prefinished in polyurethane. While these look good and are currently on-trend, please be aware of the limitations. 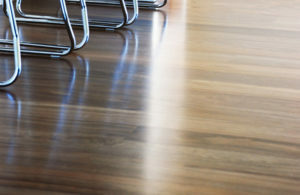 Should the floor need to be sanded and have new polyurethane applied – when worn or scratched – we would have to sand back to below the groove, as it is not possible to keep the grooves even during the sanding process. Not only would you lose the ‘look” of the V-joint but a substantial amount of the board thickness. 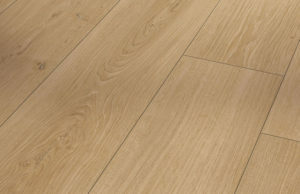 The life span of a V-jointed floor is about half that of flooring without. 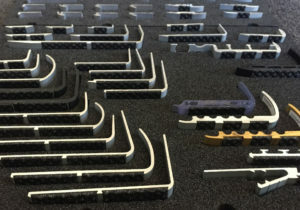 You may be able to get one sand with a V-jointed board, two with a micro-bevelled board, as opposed to three to four with a straight edged board. We can restore a worn, scratched, dented or slightly damaged floor to its former glory. We are also able to undertake repairs to more severely damaged floors and extend existing floors. See Recoating, Renovations and Repairs for further information.